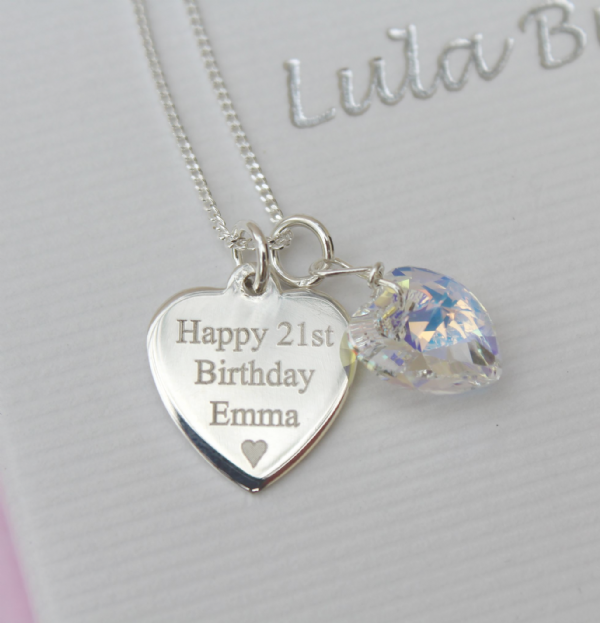 Our beautiful engraved 21st birthday necklace has a gorgeous sterling silver heart tag that can be personalised with any engraved names / message / date of your choice on the front and on the back of the sterling silver heart tag - it is shown with a little heart engraved underneath the message 'Happy 21st Birthday Emma'. (A Maximum of 50 characters can be engraved on both sides of the heart tag). The swarovski crystal heart is shown in clear (ab) and is available in your choice of favourite / birthstone colour. 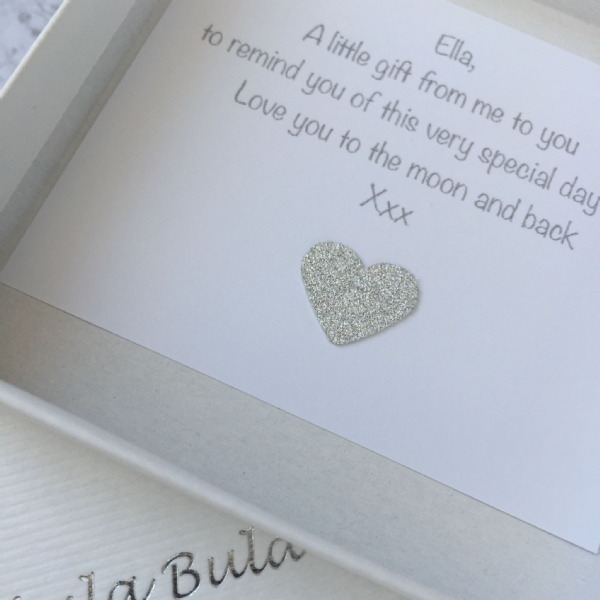 The sterling silver heart tag measures approx 1.3cm x 1.3cm and the crystal heart measures approx 1cm x 1cm. 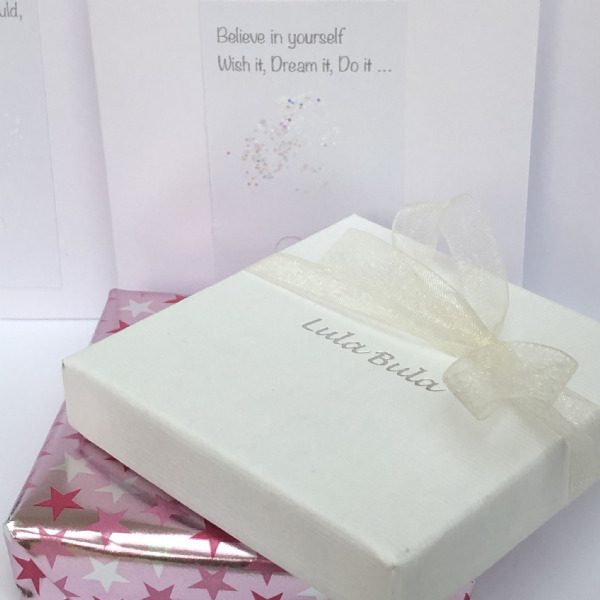 The sterling silver chain is available in a choice of 14" / 16" /18" length in silver box chain as shown in main image or silver curb chain. It is a truly beautiful gift that is sure to be treasured forever.